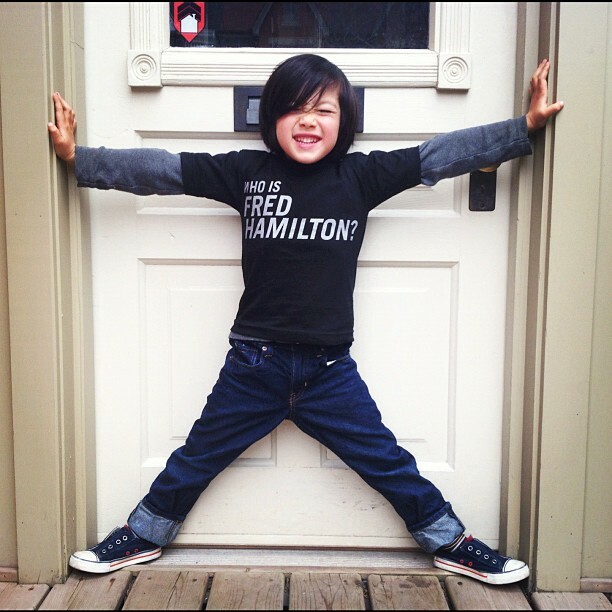 Who is Fred Hamilton? T-shirts available! The Roxton Road Parks now have their own T-shirt for sale! Stylish and funny, yet thought-provoking, these T-shirts were locally designed and produced to benefit the revitalization of Fred Hamilton Park, George Ben Park, and the Roxton Road Parkette. 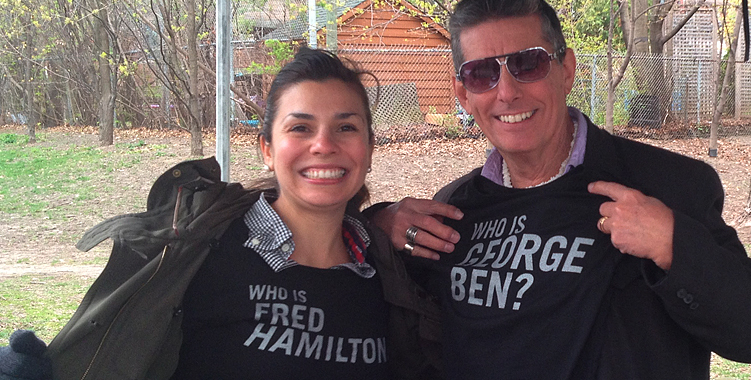 Featuring the words “Who is Fred Hamilton?” on the front and “Who is George Ben?” on the back, the T-shirts come in all-occasion black with sparkly silver lettering. Selected sizes are available (mainly women’s and children’s right now) with requests for larger sizes being tallied in advance of a future order (so do let us know if you are interested). T-shirts will be sold at community events including our Neighborhood Block Party on August 18th. After this date, the remaining T-shirts will be available online. Get yours before they run out!